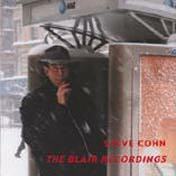 On his second CD for Leo Records, Steve Cohn, the man who has been called "the great hidden secret of American jazz," goes it alone. He has his collaborators Blair Hardman and Johnny De Robertis on a couple of tracks, but on the rest of the CD he is on keyboard with multi-track overdubbing, shakuhachi, hichiriki, shofar, percusiion. He also improvises his crazy monologues while playing an instrument. Totally original and unique.